The Caribbean Community (CARICOM) Secretariat has convened a Private Sector Consultation and capacity building workshop on the WTO Agreement on Trade Facilitation (TFA) and the CARICOM Strategy for Regional Implementation. The Meeting, intended for national Business Development Organisations from CARICOM WTO Members, takes place in Kingston, Jamaica, 19-20 April, 2017, with the support of the Commonwealth Secretariat/European Union Hubs & Spokes II Programme, in collaboration with the World Bank Group (WBG). The Consultation will facilitate the presentation and discussion of a draft regional strategy for implementation of the TFA in CARICOM, which was prepared with the assistance of the WBG. The meeting will invite private sector input to finalise the draft Strategy prior to its submission to the Council for Trade and Economic Development (COTED) for approval. The Consultation will also sensitize participants on the importance of public-private dialogue (PPD) to the effective implementation of the TFA at national and regional levels. The proposed focus and expected outcome would be the institutionalisation of PPD to strengthen the National Committees on Trade Facilitation in CARICOM Member States for effective implementation of TFA programmes and projects. As was agreed by the COTED, the adoption of a coordinated regional approach to implementing the TFA is considered important to minimizing costs that will likely be incurred by the CARICOM Member States during implementation of their substantive obligations under the TFA. The business sector has a stake in the implementation of the TFA and as such, the needs of the private sector must be taken into account in the design of a regional implementation strategy. The TFA came into force in February, 2017. Notwithstanding the costs of implementation, the Agreement is regarded as highly beneficial and important to the sustainable development of CARICOM Member States. The TFA emerged as part of the ‘Bali Package’ of decisions that arose from the 9th WTO Ministerial Conference held in Bali in December 2013. The Agreement, which contains provisions for expediting the movement, release and clearance of goods, including goods in transit, is designed to induce a significant reduction in global trade costs. 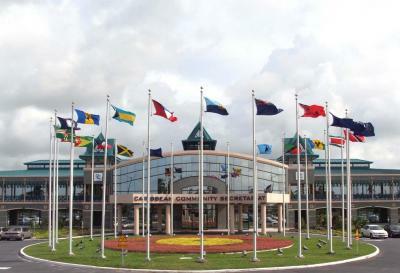 By so doing, developing countries, such as those of the CARICOM Region, will have improved chances of diversifying and increasing their exports to international markets. Further, the reduction of incurred trade costs could expand considerably, prospects for CARICOM States to participate in global value chains and to extract benefits from that participation.